GoPro Accessories are always a hot topic. We all want the best gear, but we don’t want to overpay for it, am I right?! 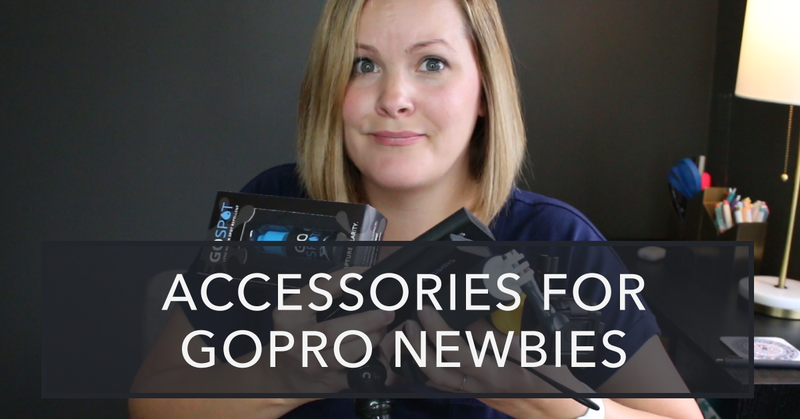 I post a lot of articles on GoPro accessories and I like doing GoPro accessory reviews too. This is where I post about which GoPro accessories I like and recommend, and which ones to avoid. Related: you might also be interested in my Ultimate GoPro Enthusiasts Wish List, with links to up to date pricing information. If I was going to buy a gimbal… which gimbal would I buy? I am not really bothered by handheld style footage for my GoPro videos, so I never really considered purchasing a gimbal for myself. Now. Don’t get me wrong, I’d love to have one personally and of course, I’d love to have the opportunity to try out different brands and models to provide reviews here for my audience. ALL NEW GoPro Accessories for 2017 + Coupon Code! 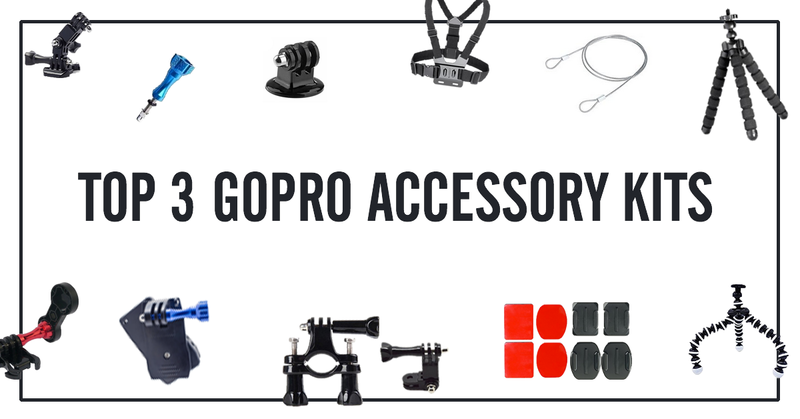 There have been a few ALL new GoPro accessories to hit the shelves during 2017, some of them just in the last couple of months actually so you may have not even heard of them yet! 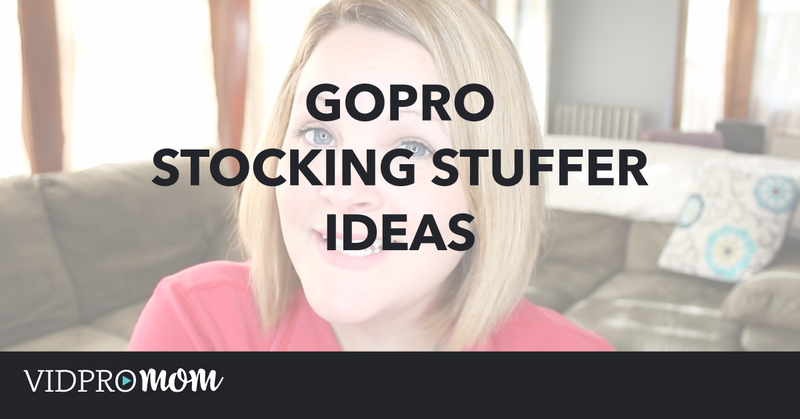 At the risk of making this video obsolete within the month or two, as black friday, cyber monday, and the new year roll around… look, the holidays are right around the corner, you want to know what’s up with the new GoPros and maybe you like to have all the latest and greatest in GoPro accessories, so, let me fill me you in! Let’s say you need to buy a gift for someone you know and love and all they want is GoPro accessories and gear to use with their GoPro camera, or you own a GoPro camera and all you want is accessories and gear to use with your GoPro camera. 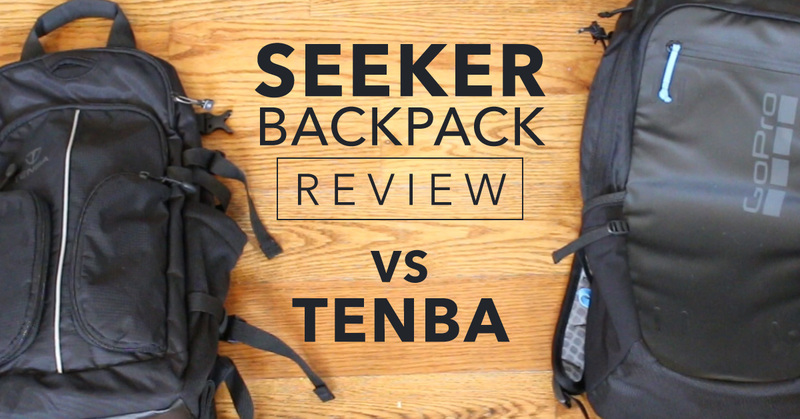 $170 for the Seeker backpack, $50 for a Jaws Clip, another $50 for a GoPro Power Pack, $200 for a Tenba… YIKES! It adds up quick. Just before Christmas last year, GoPro sent me their Seeker backpack with some goodies inside and lots of folks in my audience have been curious how I like it. 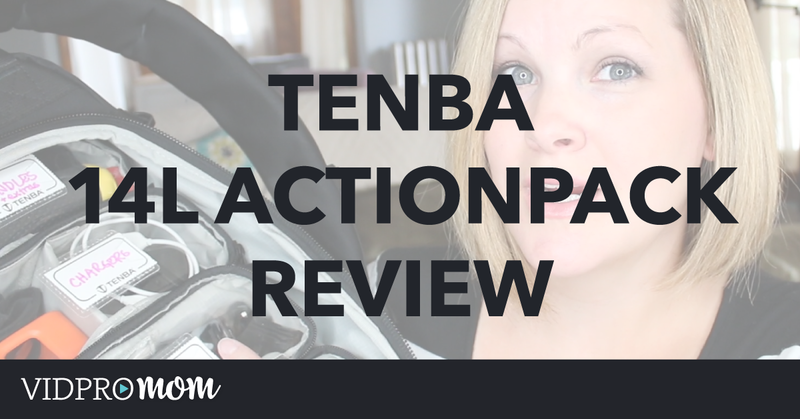 Now that I’ve had about a year to use it, and compare it to my Tenba 14L ActionPack, I put my thoughts together here in this review and of course, I also published a YouTube video with this GoPro Seeker review as well! 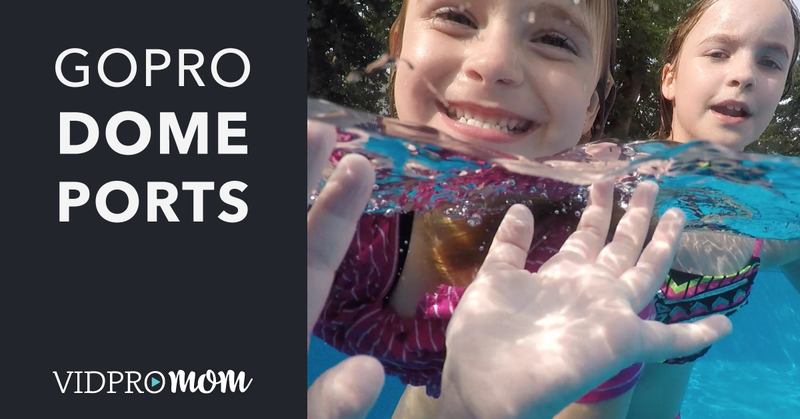 Have you ever wondered how to get the perfect “half underwater” shot with your GoPro camera? The answer is a GoPro dome port! The dome port is a large (usually 6″), dome-shaped lens cover that covers your GoPro’s lens, allowing a perfect over/under split shot. It makes for a really unique photo or video! There are lots of dome port options on the market, but some are made by more reputable brands than others. I tend not to “cheap out” on GoPro accessories and instead buy from trusted brands, if not from GoPro themselves. GoPro makes a lot of good quality accessories, but unfortunately, they don’t make their own brand dome port. 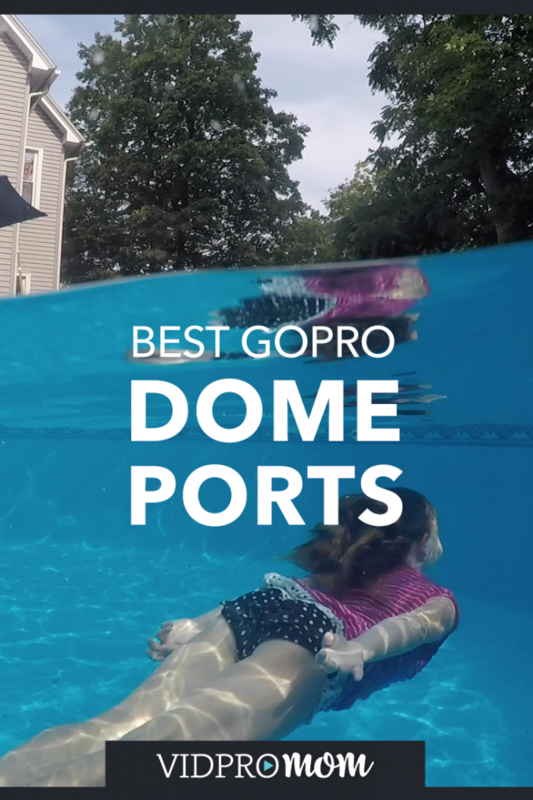 Here are the top-rated brands for GoPro dome ports, based on my own experience, as well as online reviews. This is the one that I own for my Hero5 Black, and PolarPro graciously provided me with. I’ve used it in the pool with my kids, and it’s very easy to assemble. I had no problems with leakage at all. In fact, the kids love to use it! It comes with a cover to protect it while it’s not in use, and I pack and carry it right in the original packaging. It doesn’t really fit well into my GoPro Seeker or Tenba 14L, and since it’s glass, I don’t want to just toss it in the beach bag. I think the best feature of PolarPro’s dome port is that it’s easy to assemble. You don’t have to remove the Hero5 Lens cover, and you don’t need an additional waterproof housing. 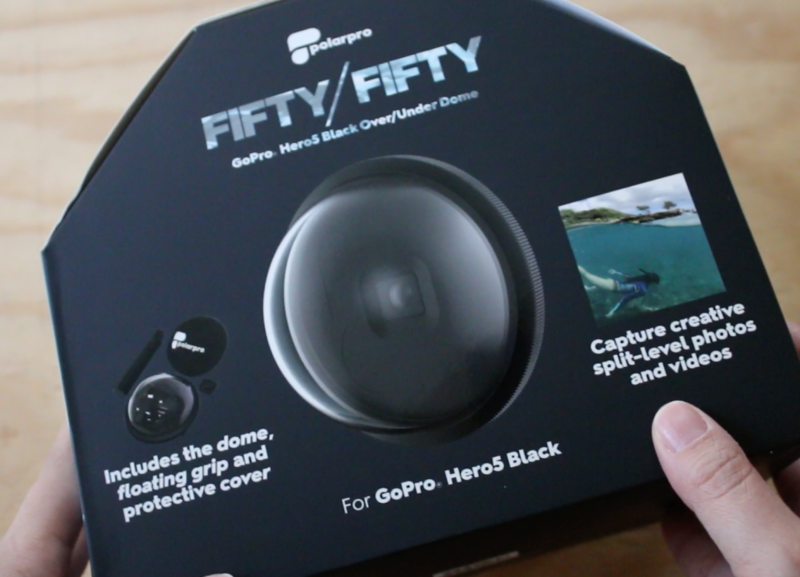 You literally just pop the Hero5 Lens cover into the opening on the back of the dome, secure it, and you’re good to go. 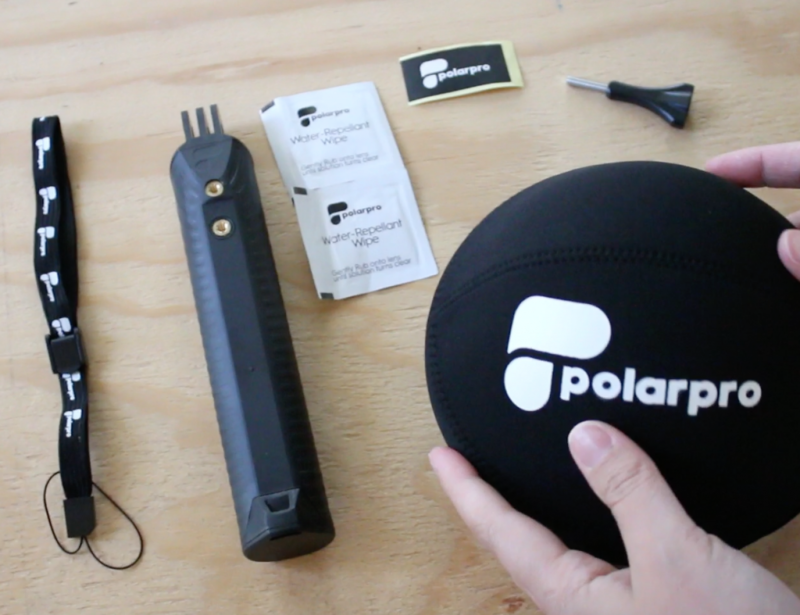 The PolarPro FiftyFifty comes with the dome port itself, a floating grip, a protective cover, a wrist lanyard, and there was also some an anti-water drop wipe in the box too. I haven’t used the wipe, so I’m curious to see how that turns out because my footage definitely has waterdrops–though nowhere NEAR as annoying as water drops without the dome. 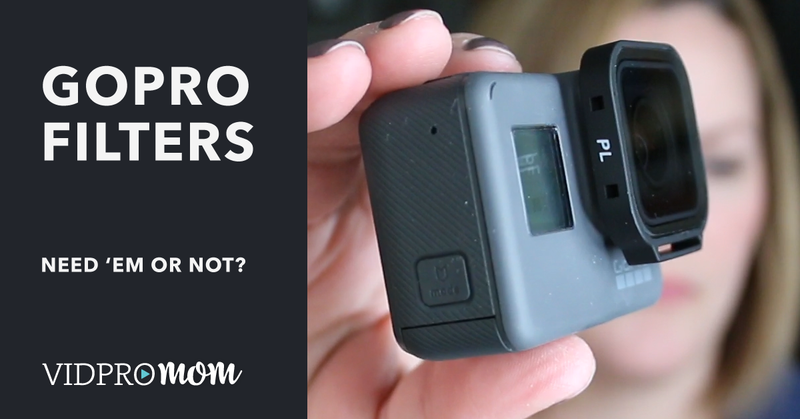 The PolarPro runs around $50 and works with the Hero5 Black. It’s available online via polarprofilters.com, Best Buy, or amazon.com. You can also check availability at a store near you. They do ship internationally! I will post a full review on my YouTube channel in the coming months, so you can see it in action. Until then, check out these cool shots I got with this dome port! GoPole makes two dome ports: the Dome H4 is compatible with the Hero4 Black & Silver and the Hero3/3+, while the Dome H5 is compatible with the Hero5 Black. Included with each model is the dome itself, a thumb screw, a waterproof housing, and a soft travel back. Not included is any kind of hand grip, but it’s compatible with the GoPole Bobber or any other GoPro-compatible handgrip. I think this is a fairly new product for GoPole, so I’m not sure what users feedback has been. GoPole has a good reputation though and is one of my favorite GoPro accessory brands. You can pick up the H4 Dome on Amazon for $60 and the H5 Dome on Amazon for $65. The SHOOT dome port (for Hero5) on Amazon has a 4-star rating and from what I have read, is a quality product coming in at around $66. The upgrade version comes with a lens hood to reduce lens flare, and also comes with a handle and a soft bag. There is also a Hero 3+/4 version on Amazon for $60. The Knekt brand dome ports are a little different and are compatible with some neat accessories as well. The KSD6ss is compatible with the Hero5 and runs about $230 on amazon.com, while the KSD6 is compatible with the 3+/4 and also runs about $230. I have heard great things about the Knekt dome port, but I’ve never used one by Knekt, so I’m really not sure why it costs so much more than other domes made by reputable brands! A common and quick DIY dome port can be created when you use the clear plastic packaging from when you purchased your GoPro! Check out this tutorial from instructibles.com for a quick GoPro dome port DIY project! Have you used a GoPro dome port? Let me know in the comments what brand it is and how it’s been working for you… help me keep this post up to date by posting a review of your dome port in the comments! Sennheiser recently sent me their new MKE 2 elements action mic for GoPro Hero 4 cameras. 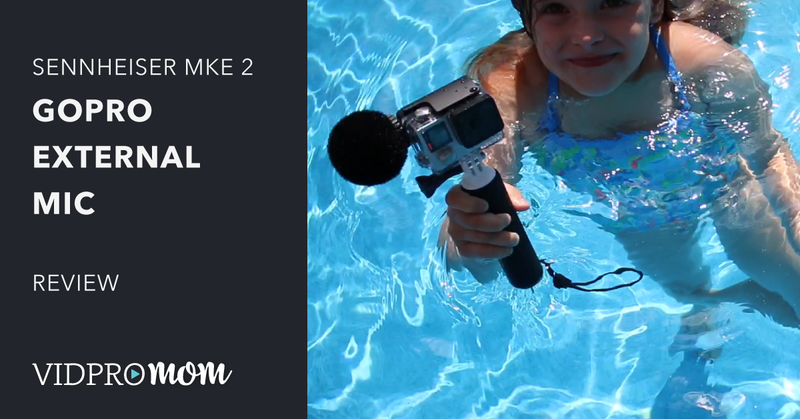 The MKE2 elements is an external GoPro mic, which is something I’d never tried before, so I was happy to check out the MKE 2 from Sennheiser! 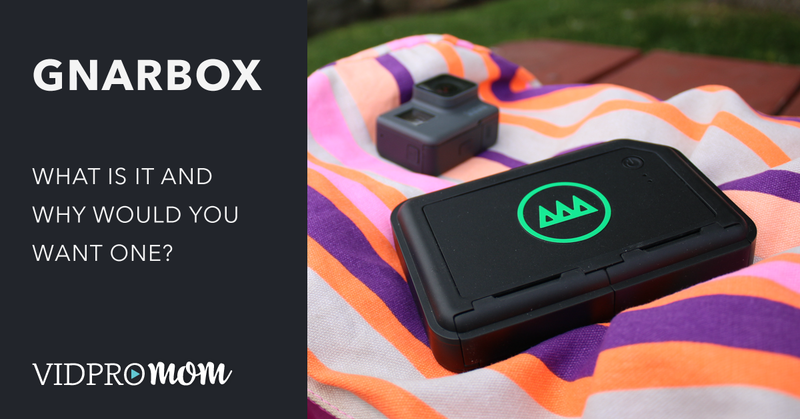 GNARBOX Review & Overview – what is it and what does it do? Have you heard of GNARBOX? If you answered no, that’s okay… neither did I until recently. GNARBOX was funded by a Kickstarter Campaign, and I’ll be honest–I don’t follow what’s going on over on Kickstarter, so I didn’t know much about GNARBOX until recently. As I looked more into it, I could see that this product could be very useful for GoPro users, photographers, and… literally, anyone who shoots video and/or photos out of their house for more than a day (vacation, anyone?). This is a question the pops up a LOT in my GoPro Enthusiasts Facebook group: Do I need filters for my GoPro? And the answer is always “it depends”. The fine folks over at PolarPro recently sent me a goodie box full of fun new GoPro accessories, and today I want to talk about the Venture 3-pack of Filters they sent for my Hero5 Black. I tried out all three that came in the pack, and also played with the Macro Lens a little bit as well (wait til you see the difference!). 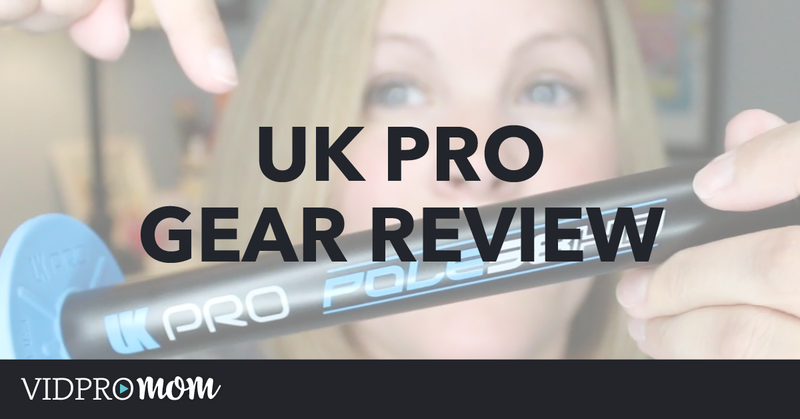 And although PolarPro did provide these products to me, my opinions here in this post and my YouTube video are all my own. 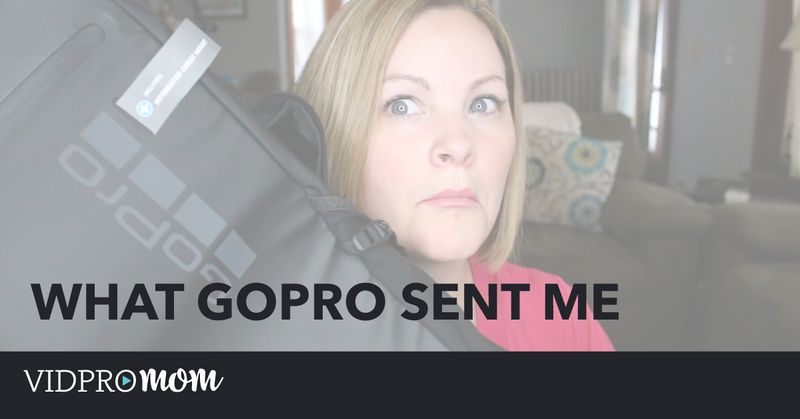 Wanna see what GoPro sent me? Are you the type of person who your spouse or mom hates buying gifts for because you already have everything, or they don’t know what you want or need? I want to help them out, so here’s what we’re going to do. 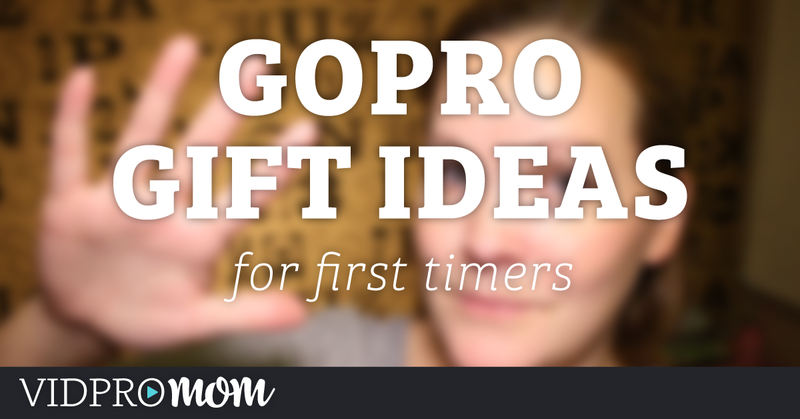 You’re going to send them a link to this video, and they can click a link to my Holiday Gift Guide (or just send them to vidpromom.com/giftguide) and they’ll find a list of fun GoPro-related gift ideas. Sound good? Is it time for Christmas yet?! Yep! In this week’s video, let’s kick off the Christmas Season by reviewing one of my favorite products: this backpack for GoPro, the Tenba 14L ActionPack! Thanks to Tenba for providing this product to me to review. Spivo Stick seemed gimicky to me at first, but it’s become my go-to selfie stick when I need one. 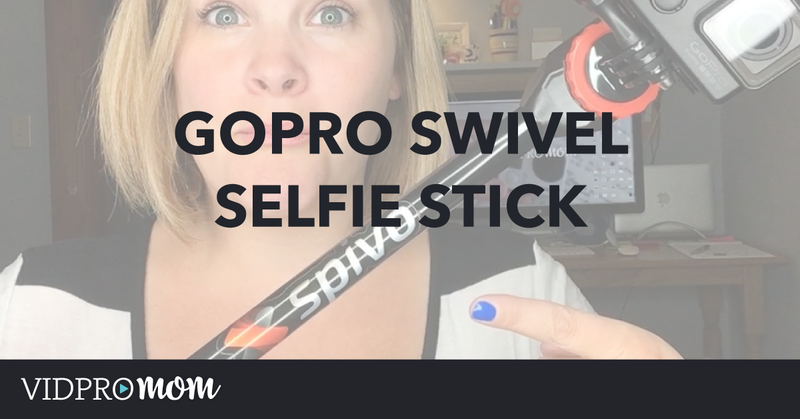 Spivo Stick is the coolest selfie stick or GoPro pole I’ve ever seen – It’s a GoPro swivel mount! 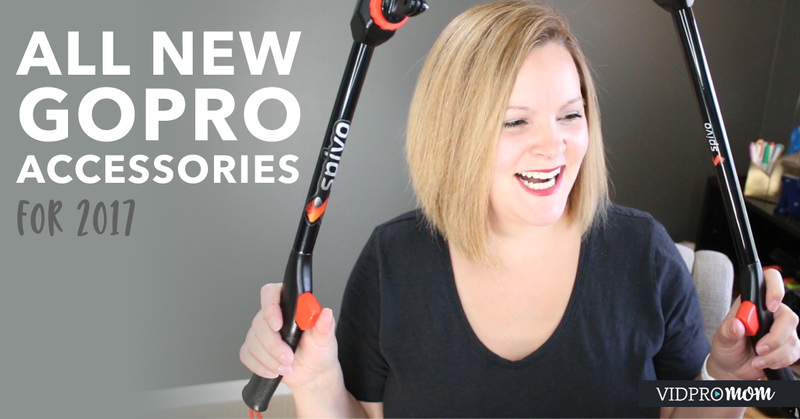 The Spivo Stick has a rotating mount and a trigger, so you can change your shot from you (like a selfie), to capturing the scene around you, with the click of a button! 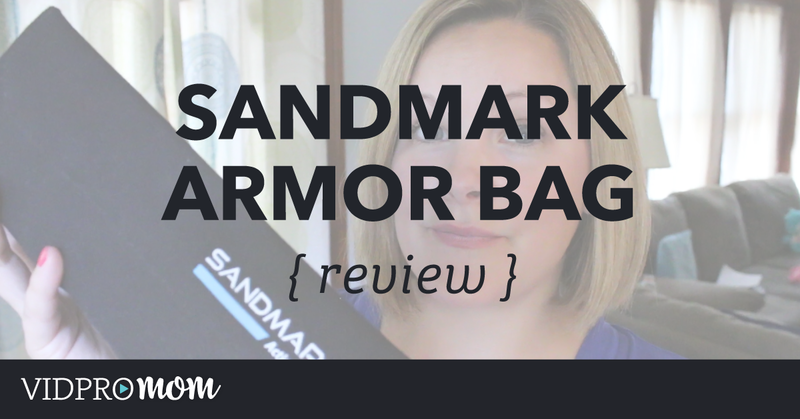 I had the opportunity to test out the SANDMARC Armor Bag over the last several months. It’s really handy GoPro accessory bag that would come in handy for just about any GoPro user. Let’s check it out! We have a winner! 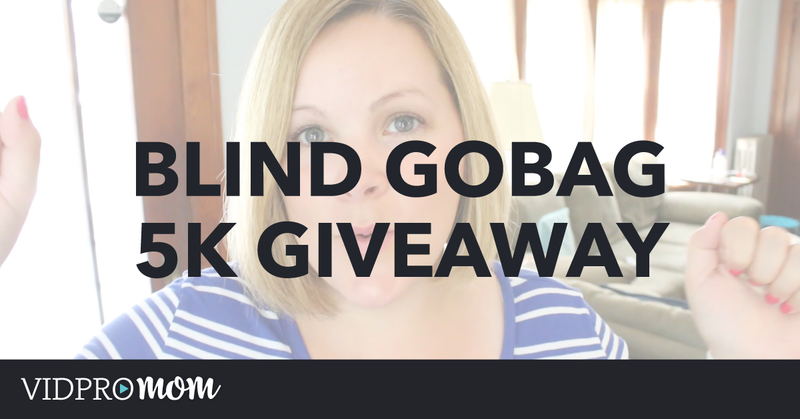 Last week I announced a special Giveaway that I was doing to celebrate reaching 5000 subscribers on my YouTube channel! The giveaway is now over, and a winner has been selected: Congratulations, Vicki!! 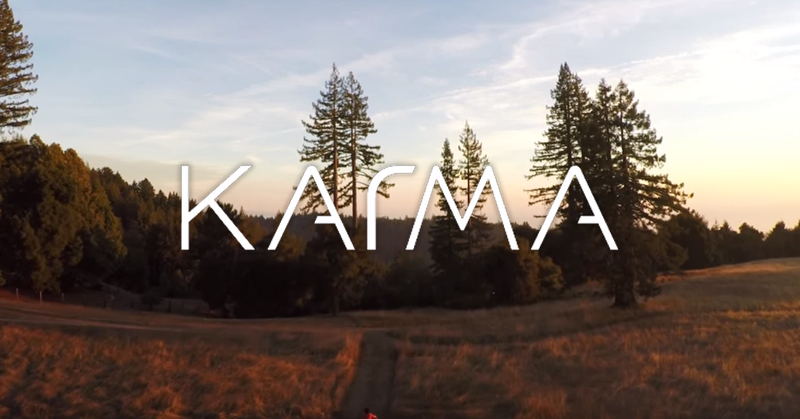 The Drone that GoPro is expected to release in early 2016 is going to be called Karma. Is it too early to talk about Christmas gifts? I don’t think so! 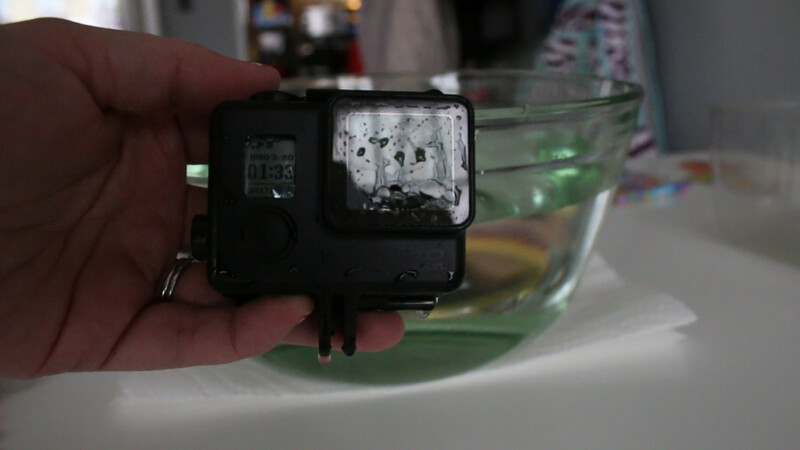 GoPro’s waterproof housing is pretty darn near indestructible, isn’t it? Not completely, but almost. 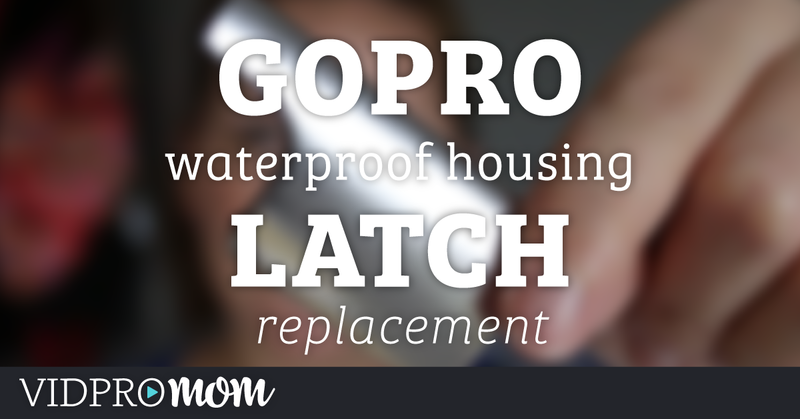 And yet, removing a major part of the housing – the latch – to replace it is actually pretty simple and easy. I always recommend that you use some kind of a handle when shooting with your GoPro – always. I don’t know why, but I put off ever getting a handle for way too long. And when you’re holding a GoPro with your hands, it’s impossible to not pick up the sound of your fingers near the mic. And I have a couple of GoPro grips and a selfie stick now. My favorite ones though are the floating ones! It seems like almost all GoPro Mounts on the market were designed for surfers. Right? If not surfing, they’re usually designed for some other extreme sport. 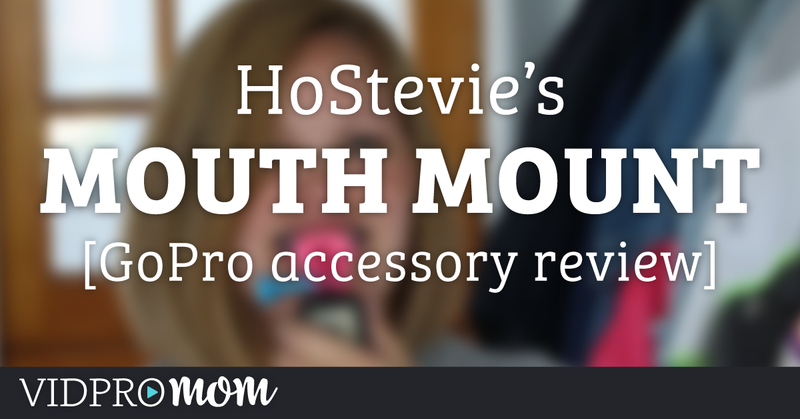 And the Mouth Mount is no exception. It was designed by a surfer to be used by surfers. 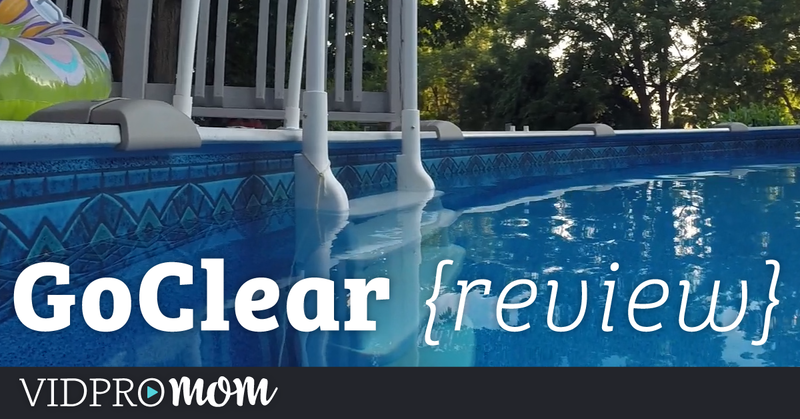 A while ago I posted a review of GoClear – a hydrophobic lens protector for my GoPro. In a nutshell: LOVE IT. This week’s post and video are a little different than normal. Are you on Periscope? It’s a live-streaming video app for iPhones and Android devices where you can live stream anything, anywhere, and your followers can watch and comment. 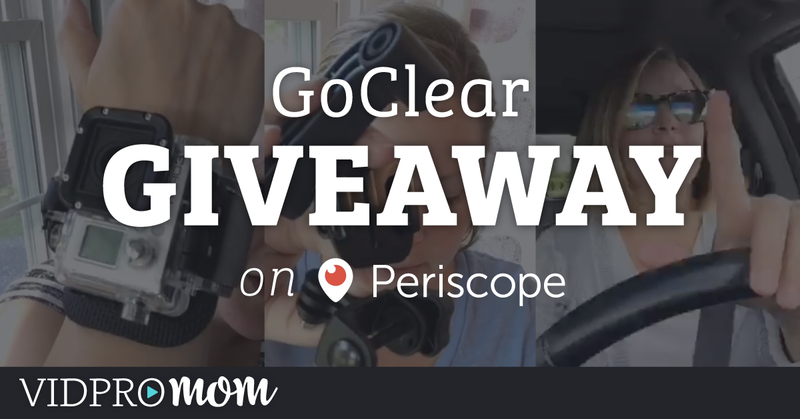 It’s all the rage these days and my handle there is gopromom, if you want to search for me in the Periscope app. Why am I telling you this? 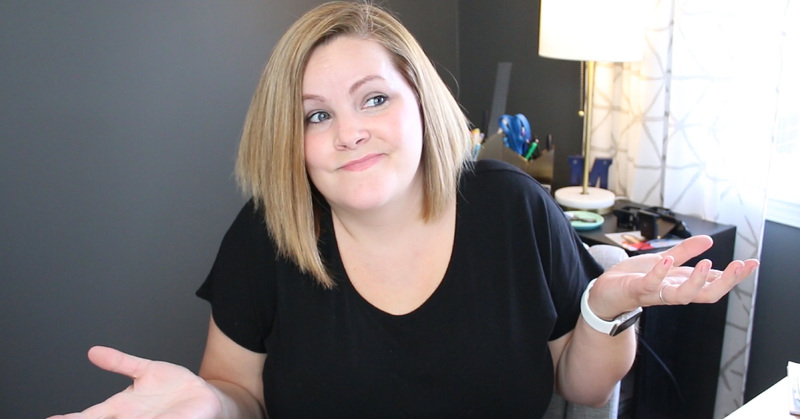 Well I joined Amy Schmittauer‘s VEDA, which stands for Vlog Every Day in August. And to make it easy and fun, I will be vlogging LIVE on Periscope every day, starting on August 1st (this Saturday). And what will I be vlogging about? GoPro accessories! 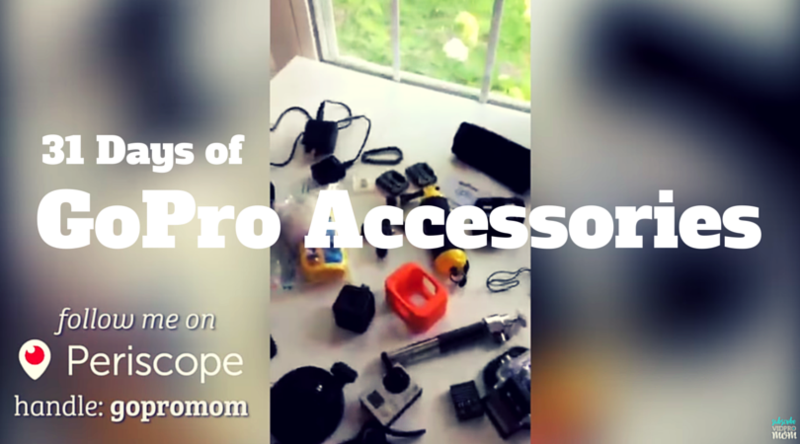 And not just ANY GoPro accessories, but MY OWN GoPro accessories – what I have, what I use, which ones I love, and which ones I don’t love at all. In fact in Saturday’s scope, I will start off with my LEAST favorite GoPro accessory. Don’t worry if you’re not on Periscope! You will get all my videos compiled on my YouTube channel! But if you are on Periscope, be sure to follow me by searching for my handle, which is gopromom (by the way, my twitter handle is vidpromom if you want to find me there). I love trying out new accessories for my GoPro! Even better when they arrive by mail from the U.K. My kids were SUPER impressed that I got mail with the Queen on it. Ummm my kids and I are stoked that “VidProMum” got mail from the UK! Can’t wait to try GoClear! GoClear sent me their GoClear Hydrophobic Protection to try out and review here and on my YouTube Channel. You can’t tell on the video but I did apply it backwards (seriously… I’ve never been good with directions). Once I got it on the right way though, it worked BEAUTIFULLY. I would say it does work better than Rain-X. Rain-X is nice but it’s not perfect. The footage I got with the GoClear was crystal clear. Two Thumbs Up! You can get yourself a GoClear for £5.99 ($9.29 USD). I think it’s totally worth it! Thanks to GoClear for providing me with this product. My opinion of the product is not affected by their generosity. Remember how GoPro sent me the new Hero4 Session last week? Still loving it! I sent it along with my parents on their Alaskan Cruise actually. How much do you wanna bet it’s the first and only GoPro Session on an Alaskan Cruise right now? Can’t wait to see their footage! 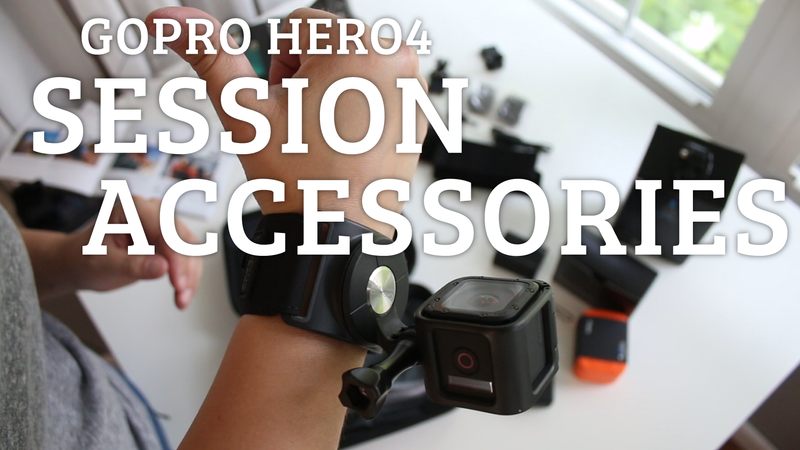 Here’s the Hero4 Accessories that came with the package that GoPro sent me. These are just some of the accessories that are available for the Session. We did put the floaty to good use, and when I get the footage edited, I’ll throw it over to YouTube. Disclaimer: GoPro did send me the GoPro Hero4 Session Reviewer’s Box as a courtesy – I guess because I’m awesome. No really, my opinions of GoPro and the Hero4 Session are not and will not be affected by any free merchandise provided by GoPro. 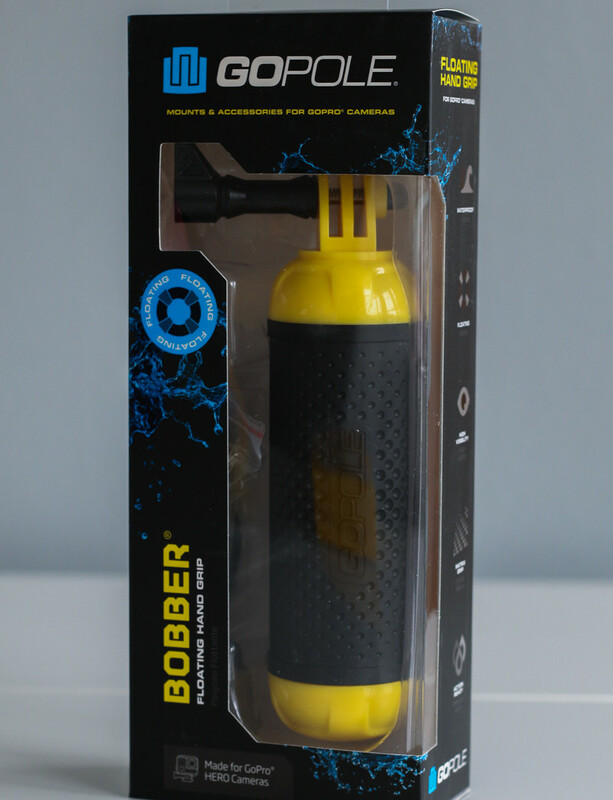 GoPole has been a reputable GoPro Accessory brand for a while now, so I didn’t hesitate to invest in their floating handle called the “Bobber”. 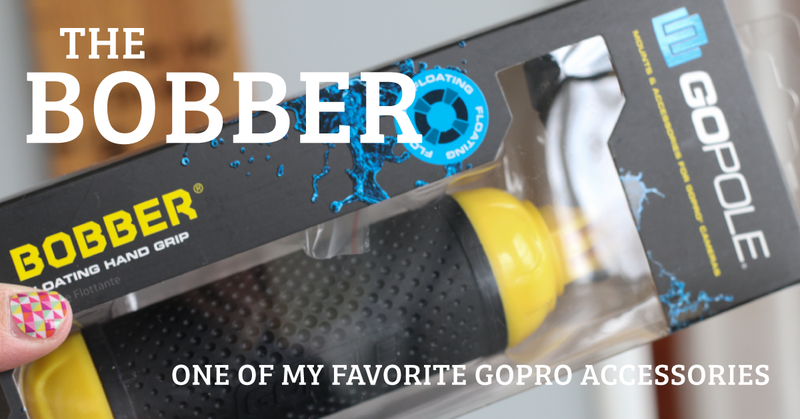 The GoPole Bobber is a Floating GoPro Handle so it’s the best of both worlds really! You can use it as a regular handgrip or handle for your GoPro, but it also floats. So what is the Bobber? It’s really just a handle for the GoPro. You attach your GoPro just like you would with any other mount. If you’re going to be near water, of course, you’d want to use the waterproof case unless you’re using a Hero5 or Hero6. What makes the Bobber really great is that it is a floating handle. I’d rather use a GoPro floating handle than a “floaty” backdoor because this handle is attached using a screw – not a sticky back. It just seems a lot more reliable to me. You can attach it to a tripod right on the bottom. It fits any regular 1/4in tripod screw. I picked up the Bobber on Amazon for $24, and I’m really happy I did. 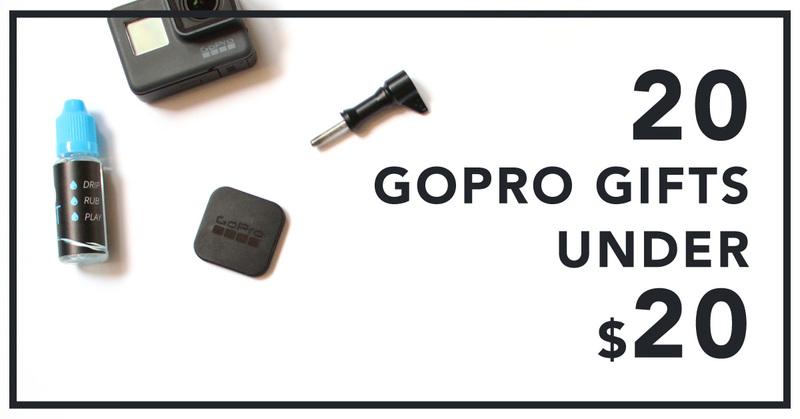 It’s very well made (as GoPole is a well-known manufacturer of GoPro accessories), it works great, and I think you’ll love it too! I use The Bobber pretty much all the time, in and out of the water. What is your favorite GoPro floating handle? 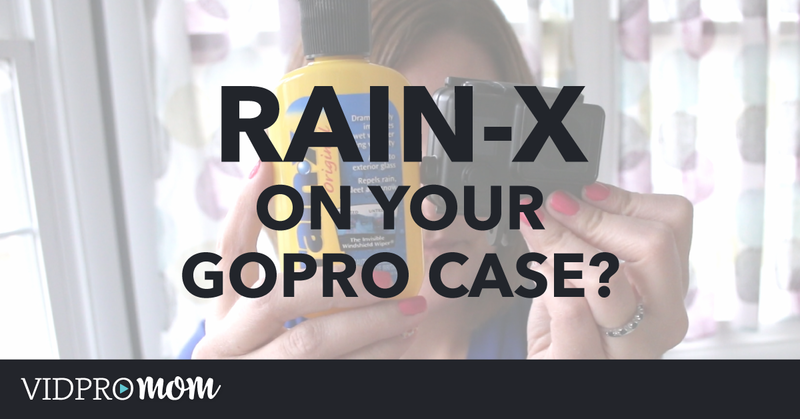 Now this is a first for me, I’d never put rain-x on my GoPro case before, and I wasn’t sure whether it would really work. (Spoiler, it does work). 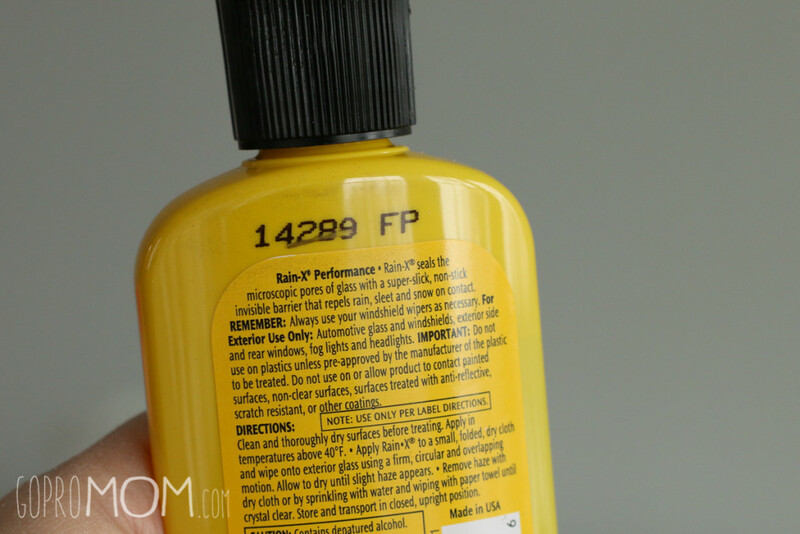 I got the small 3.5oz bottle at a local auto parts store for around $5. Don’t get the spray, and don’t worry about getting an economy size (you probably won’t need it). Grab it on amazon real quick. 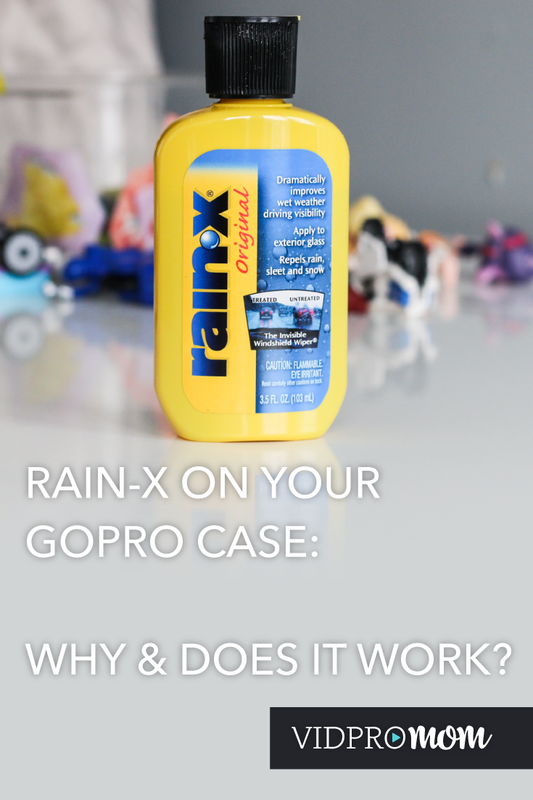 Basically, just follow the directions on the back of the Rain-X bottle… it’s pretty easy. There are varying opinions on exactly how to apply, but the great thing is you can test it out right away. The first time I did it (not shown in the video), I wiped on the Rain-X, and kinda buffed it dry. 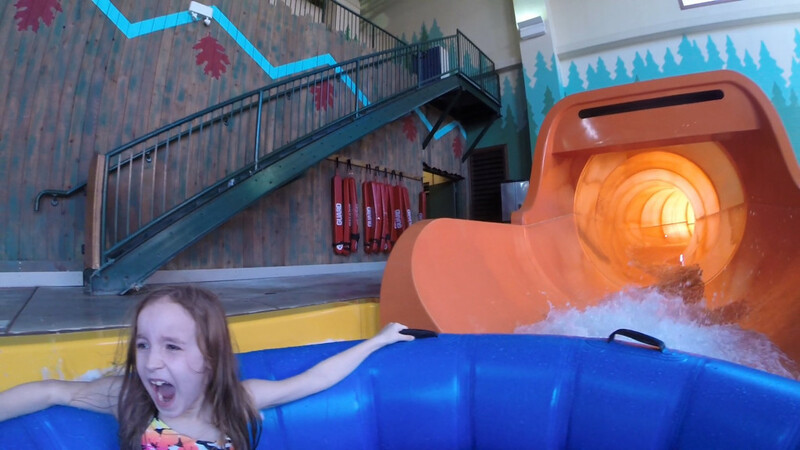 I put my GoPro in the bowl of water and… there was still some small drops. So I dried it off, read the directions, and applied the Rain-X again. This time I waited a few minutes until I could see the “film” as mentioned in the video and in the Rain-X instructions. Then I buffed it off with a clean dry paper towel. After that, it worked as expected. 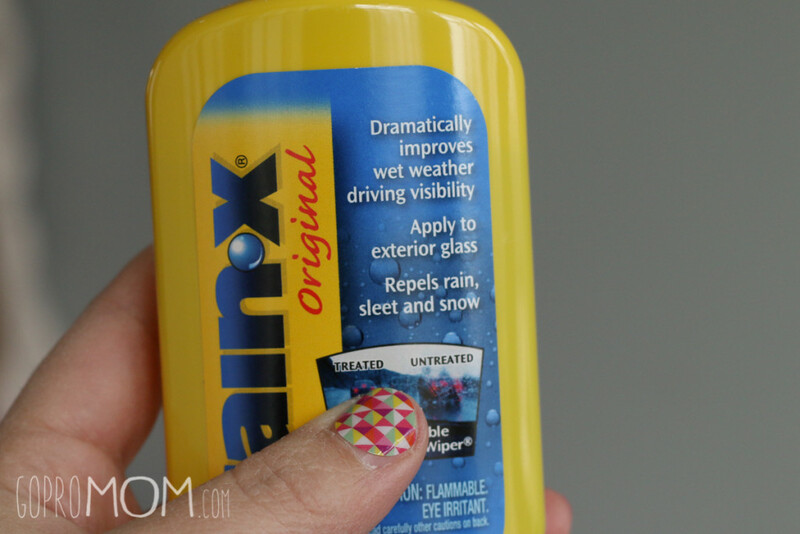 You may find very small droplets of water even after using Rain-X. What I noticed, though, is that small droplets are far better for your footage than large droplets. 🙂 In fact, even when you see small droplets while you’re shooting, you may find that when you review your footage, they are not even noticeable.